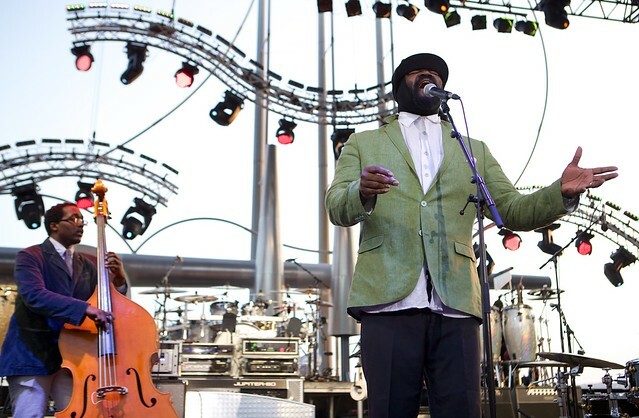 Gregory Porter is going to rock the land of the UK with his sensational music performance in the year of 2016. Grammy Award winner singer announced his 16-date tour to the UK which will be kicking off on 4th April, 2016 at the Royal Albert Hall, London and will be ending on 24th April, 2016 at the Birmingham Symphony Hall. The American jazz singer continues to present his unbeatable performance around the world achieving a globally recognized appreciation which gets more acclimation with the gem of Grammy Award Winner blockbuster album ‘Liquid Spirit’. The album gets gold certification in the United Kingdom alone. It also stayed in demand for the official album charts for 80 week from the time of its release. Porter has proved himself as a new emperor of jazz and a star to gain extraordinary crowd. He just rocked with a hot set at Glastonbury and other shows that have been taking place in recent times. He has been compared with other great stars like Joe Williams, Nat Cole, Donny Hathway, and Marvin Gaye. Ticket prices vary from £30 to £42.50 while in Scotland tickets prices are from £30-£40 and the Royal Albert Hall from £40-£75.